The two articles in this essay belong to a field of research that gained increased scholarly consideration, especially due to the innovative, empirical and theoretical contributions proposed by the special issue of International Affairs (84:1, 2008). The academic discussion advanced by this issue on the notion of “ethical power Europe” (EPE) marked at the time a conceptual move within the field of European Studies. The academic attention was shifted from the inward-looking and institutional-building debates on the European Union’s (EU) sui generis identity, towards the evaluation of the EU’s foreign policy praxis and its proactive international involvement. Furthermore, such a theoretical mutation was accounted for by two gaps in the existing literature: the under-theorised international agency of the EU; and the narrow scope of the civilian/normative power concept as applied to the EU – too domestically-oriented and unable to accommodate the EU’s multi-faceted international role and its foreign policy agenda. Beforehand, it should be mentioned that the discussion put forward by the special issue draws extensively from reputable traditions of political philosophy and long-lasting debates within the field of International Relations (IR) as regards the contentious nature of ethical foreign policy. The two articles under review, Adrian Hyde-Price’s “A ‘tragic actor’? A realist perspective on ‘ethical power Europe’” and Ian Manners’ “The normative ethics of the European Union”, both tackle the dilemmas provoked by the EU’s international exercise of power and its ethical legitimations. The EU is being discursively modulated in programmatic EU policy and strategy documents as an international “force for good”. Both authors make use of specific theoretical frameworks and their diverging ontologies are reflected in their particular perspectives on the EPE debate. While Hyde-Price premises his theoretical angle in the sturdy IR tradition of neorealism, Manners adopts a softer, normative and cosmopolitan theoretical approach. Moreover, at one extreme of the spectrum, Hyde-Price conceptualises the EPE within the scope of the anarchical and systemic logic, founded on the three-folded Weberian “ethic of ultimate ends”, i.e. scepticism, prudence, and reciprocity. At the other end, Manners puts forward his own complex conceptualisation that encompasses three important perspectives in procedural normative ethics. From them, the author synthesises three normative statements that ought to drive the EU’s international presence, i.e. “living by example”, “being reasonable”, and “provoking least harm”. Whereas Hyde-Price plays the sceptical role of the objective and detached social scientist, Manners openly delineates his normative interpretation by idealistically labelling the EU as a different actor, capable of transforming the international system for the better. Both authors address particular aspects of the EPE concept, mostly inspired from the two different theoretical frameworks introduced in their articles. Hyde-Price develops a neorealist critique of the “normative power Europe” concept. From this perspective, the EU is conceptualised as a “collective instrument for shaping its external milieu” and instrumentally utilised by the EU Member States (MSs) to maximise their material interests in the context of international structural/systemic limitations. Even though the neorealist accounts have been predominant in the international relations analyses, there have been few attempts to apply them to the EU’s foreign policy and the EPE debate, Hyde-Price’s contribution being extremely valuable in this case. On a different note, Manners adopts a subjective positioning and cosmopolitan approach when analysing the EU’s international stance. The author identifies nine substantive normative principles that constitute the EU’s credibility in its global role as a force for good. 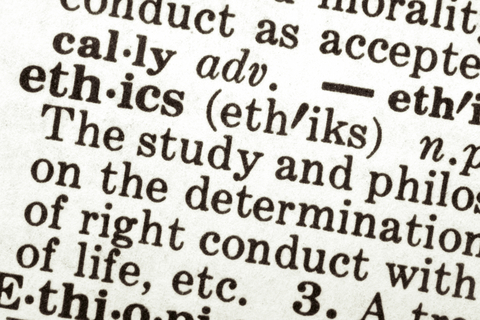 According to Manners, three procedural normative ethics (virtue-based, deontological, and consequentialist) come to the fore and act as guiding ethical benchmarks that assist the understanding of the EU as a normative power. From this point of view, he is deliberately and explicitly idealist in his argumentation, prophesying a long-term vision of the EU’s normative power that contributes to the creation of a “more just, cosmopolitical world […] based on universally accepted values”. In terms of their argumentative strengths, both articles have complex and engaging points of contention. Hyde-Price’s contribution grounds the debate of the EPE in a pragmatic, materialist logic, notwithstanding its inherently pessimistic nature. The author meaningfully argues that there exists an inherent contradiction between the particularistic interests pursued by the EU and the ethical universalist/cosmopolitan norms that it puts forward – “what is good for Europe is not good for the world”. In a figurative, almost-poetic sense, the EU is seen by both authors as a protagonist in a Greek tragedy in the international theatre: predestined to either fall because of its ethical hubris and overbearing pride (Hyde-Price) or to rise above contextual obstacles and win the heroic fight for good (Manners). Moreover, Hyde-Price’s article discusses the possibility of a “realist ethics of statecraft”, in which the EU, acting as a “calculator not a crusader” (D. Clinton), faces the structural constraints of an anarchic international system. The EU’s normative presence is thus limited to ethical choices made within the structural constraints of the international system. The stark ontological position of structural realism put forward by Hyde-Price and his interpretation of the EU’s role as a mere collective vehicle for MSs’ interests, skilfully bypasses the broader liberal-idealist discussion on the EU’s normative and intellectual origins, as well as its normative international presence. As far as Manners is concerned, several strong and interesting points take centre stage in the discussion. Manners poignantly observes that the EU’s international projection has always been normative in world politics, its transformative power, or better said its “normalising” power, stemming from its ability to change the international “norms, standards and prescriptions” from state-centricity to post-Wesphalianism and cosmopolitanism. Manners’ ideas have proven to be highly significant but also equally contentious, because his approach, in his self-proclaimed earnestness, is not necessarily analytical but substantially normative. The author is not at all concerned with the portrayal of the EU’s international role as it actually is, but as it “ought to be”. Hence, Manners’ analysis is primarily focused on what principles the EU promotes and should promote internationally so as to alter the international normative status-quo. Conversely, even though Manners proposes an original and comprehensive cartography of all the normative principles the EU (should) promote(s) in the international arena, there still remains a sense of lurking scepticism about the EU’s ability to normalise the international anarchical system and work towards creating a more just, cosmopolite world without a credible military force and backing. Actually, the ethics of the EU’s normative power may prove to be an instance of Western ideological hegemony, despite all the procedural dimensions and self-reflexive checks the EU has to correct in the way it does foreign policy. All in all, both articles reviewed in this essay have undoubtedly a reference value. Indeed, the two authors demonstrate that entwining ethics with foreign policy is an inherent normative endeavour, based upon specific paradigms about justice, ethics and foreign policy. Additionally, the articles point to the fact that a new conceptual categorisation for the EU’s dilemmatic international role is required and needs to be further developed and analysed. Both articles profusely achieve the underlying aim to critically examine the problematic dimension of “ethical power Europe”, their insight providing either an “inherently tragic” or a hopelessly “optimistic” account of international politics. It could be said that the notion of “ethical power Europe” is thus an “essentially contested concept” (W. B. Gallie), whose meaning is a matter of constant debate, without the possibility of a neutral, objective definition or application. The subjective nature of the definitions rests in the truth that no conceptualisation and no theoretical perspective, as we have observed in the two articles, is normatively blind or politics-free. This entry was posted on 14/07/2014 by ISIS Europe in Contributors, Raluca Csernatoni, Reviews and tagged EPE, Ethical Power Europe, Ethics, EU, EU Foreign Policy, European Studies, European Union, Foreign Policy, Idealism, International Relations, Neorealism, Statecraft.